C’est Karma has played music for all her life. It all got serious, when in the summer of 2015 she strummed her guitar strings for the first time. 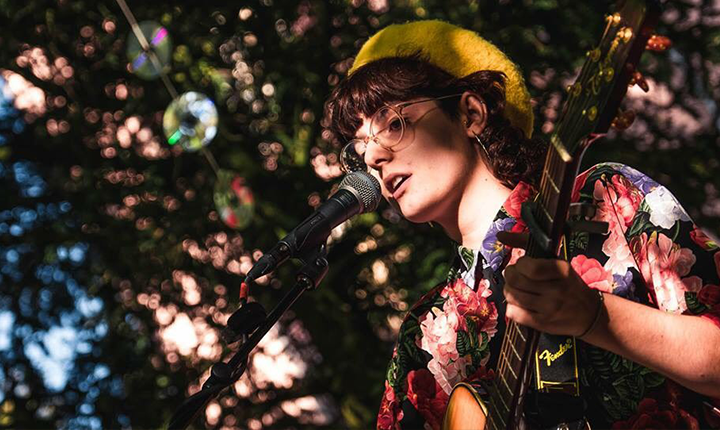 Quickly grasping the music, she started busking the streets of Luxembourg and song writing, a process she masters partly also because of her successes as a poetry slam artist. C’est Karma has already opened for Milky Chance or, played as support for Bartleby Delicate. Her smooth and smoky voice cuts right through every venue. A mix of Daughters’ intimacy and the power of a young unstoppable Sinead O’Connor: C’est karma continues to baffle audiences in Luxembourg with her music and voice.